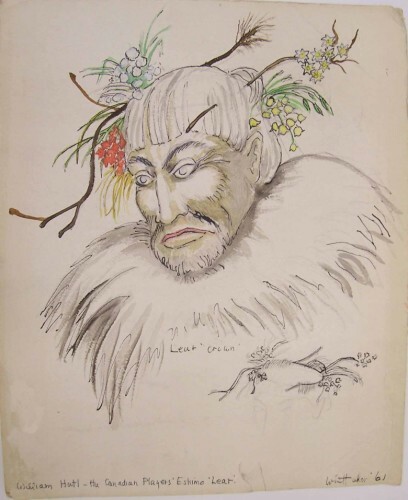 depicts William Hutt as Lear, wearing crown of assorted foliage. Portrait depiction. Colour.